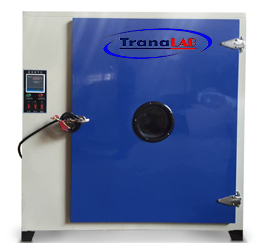 1 With the glass observation window, users can watch the heating in the operation room. 2 We can be customized upon your requirements. Adopt electric heating and hot air circulation as heating mode, the electric heater and hot air circulation system will start when working. There are many air deflectors on both sides of the oven, the hot air will be made into the oven through them and to form the hot airflow. The Return air system layout in the top oven is used to make the hot air re-enter into the air supply unit. Then the hot air will be heated again until it reaches the required temperature. 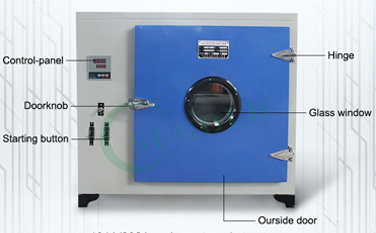 It is an ideal laboratory drying oven which is light and easy to move. With the glass observation window, users can watch the heating in the operation room. The inner container is made of high quality cold rolled sheet. We can be customized upon your requirements.